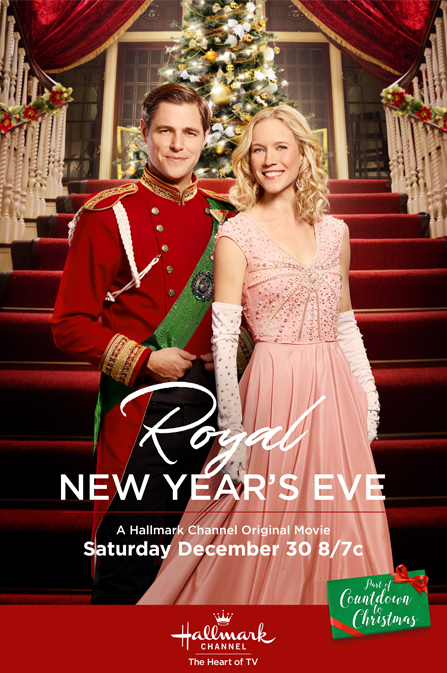 Its a Wonderful Movie - Your Guide to Family and Christmas Movies on TV: Hallmark Channel Reigns with Royal Themed Movies! Which one would you crown King of all? 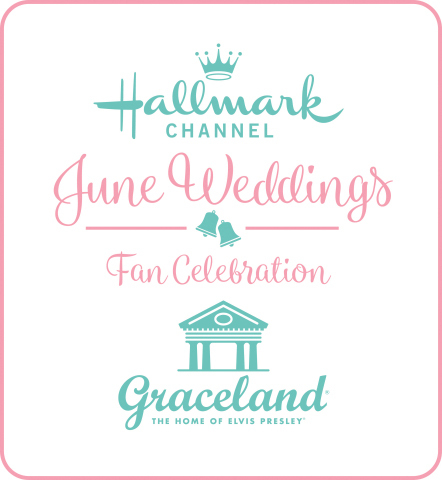 Hallmark Channel Reigns with Royal Themed Movies! Which one would you crown King of all? 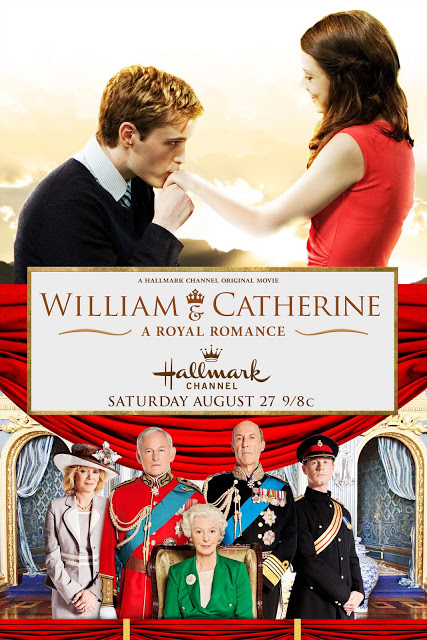 Hallmark "Crown" Media has held the crowning achievement of developing numerous "Royal" themed movies throughout the years! 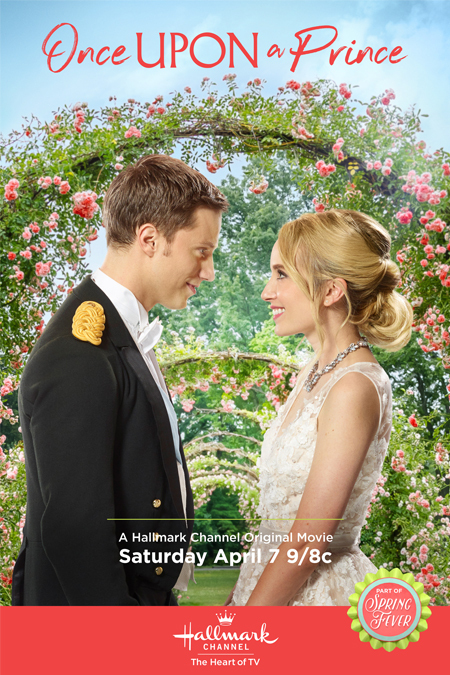 The network reigns as the number one place on TV to look for a sweet love story and royal romances! See the list of Royal movies below; then please share in comments below which film you would crown "King" of all. 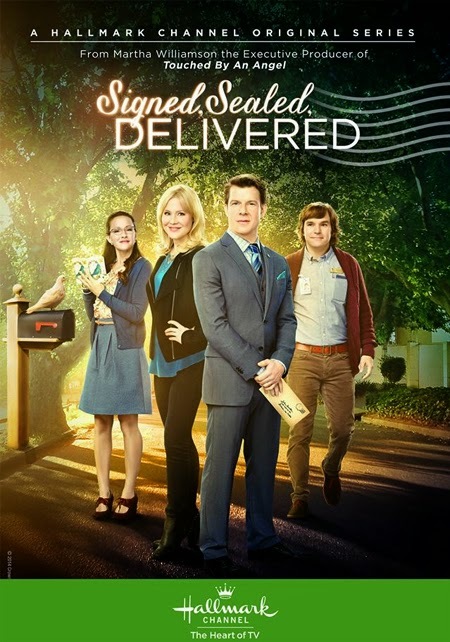 *First premiered on the Hallmark Channel - February 1, 2011. Storyline: In "Smooch," Kiernan Shipka plays "Zoe," a young girl obsessed by fairytales and happy endings who is searching for the perfect man for her widowed mother Gwen (Kellie Martin). It is Zoe's belief in a frog's potential charm that compels her to abduct one from her middle school science class, carrying him to the San Francisco Bay in a water-filled lunchbox where she intends to set him free. Having skipped class, Zoe is surprised to see another schoolmate at the Wharf, and in her anxiety, accidentally drops her green friend overboard. As she surveys the scene, a male monarch (Simon Kassianides) in full royal regalia emerges from a dinghy in which he fell after a wild night of partying. The dazed prince looks more like Humpty Dumpty, sporting a giant goose egg on his head, courtesy of his fall from the pier. Though the prince has little memory of who he is or how he got into such a predicament, he is in luck. Zoe knows precisely how this fairytale ends. *Visit here for more details! Storyline: William & Catherine: A Royal Romance chronicles the love story of Prince William (Dan Amboyer) and Kate Middleton (Alice St. Clair) that resulted in one of the most celebrated weddings in history. At a pivotal point in their courtship, William takes to heart the advice of his mother, the late Princess Diana (Lesley Harcourt), which she bestowed in an interview before her untimely death. The message she left for her son: hold on to the love of your life and protect it with all of your heart. 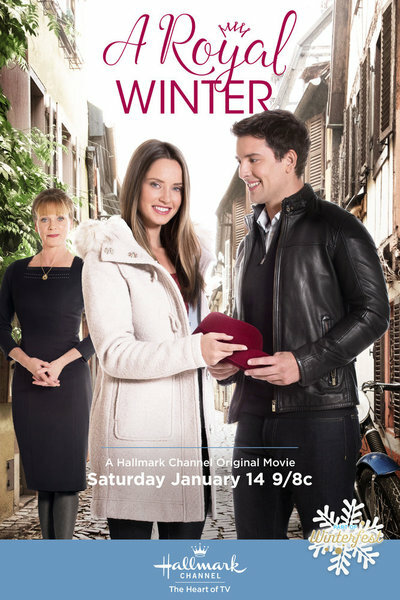 *First premiered on the Hallmark Channel - December 3, 2011. Storyline: In "A Princess for Christmas," McGrath plays Jules Daly, a frenetic twenty-something who becomes guardian to her young niece Maddie (De Meza) and nephew Milo (Turner) when her sister and brother-in-law are tragically killed in an accident. While balancing the daily hysteria of becoming an overnight parent, Jules was recently laid off at work, her car is on the fritz, and the kids' shenanigans have caused a dozen nannies to flee like vampires before garlic. When an ominous knock on the door comes late one evening, Jules wonders, what now? At the door is Paisley Winterbottom (Miles Richardson, "Midsomer Murders"), a proper English butler, with a most curious invitation: a Christmas holiday with grandfather, Edward (Moore), the Duke of Castlebury Hall, who was absent from the kids' lives, but wants to reconnect out of love for his late son. 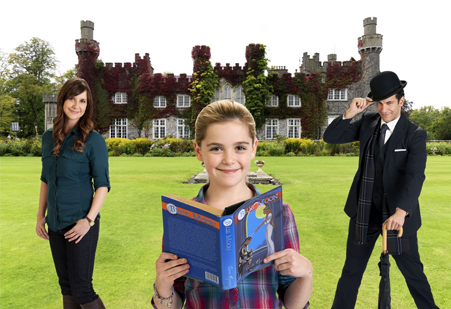 Jules initially wants to decline the trip, though she and the kids eventually travel to Castlebury to meet the Duke. On more than one occasion, Jules feels woefully common trying to blend in with her late brother-in-law's ostentatious family. Eventually, however, even with missteps and mistakes, a mystical influence begins to fall over the family, like the comfort of a dusting of snow over the quiet countryside. This Christmas, the family won't lament what has been lost, but will celebrate all that has been found! 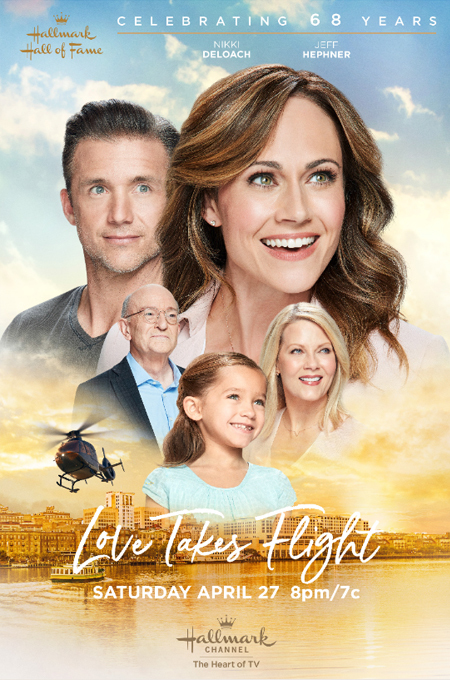 Storyline: As the only daughter of an expert tailor in Philadelphia, Emily Corrigan (Lacey Chabert) is a kindhearted young woman proud of her blue-collar background. She is a devoted seamstress at the family business and madly in love with her doting European boyfriend, Leo (Stephen Hagan). But as their first Christmas together approaches, Leo drops a bombshell on his unsuspecting girlfriend: he is actually Prince Leopold, heir to the throne of Cordinia, a small sovereign country. Emily is in shock, but her love for Leo trumps her hesitation about his double life and they quickly fly to Cordinia to announce their engagement and spend the holidays with Leo’s disapproving mother, Queen Isadora (Jane Seymour). Storyline: When an actual, honest-to-goodness royal princess runs off from her official obligations and duties for a couple of days to see how the other half lives, she winds up falling for a good Samaritan who is unaware of her real identity. And it happens right around Christmas. Will the guy still feel the same way once he learns the truth? And if this works out, won’t that make him a prince? We’re guessing yes. Storyline: Allie, a fired maid from a ritzy NYC hotel, takes a job as a governess to a young girl who is part of a powerful family in Europe. After reluctantly accepting, and upon arrival at the castle, learns the girl is Princess Theodora and that her father is Maximillion, the King of Winshire. Max informs Allie that the Princess prides herself on terrorizing authority figures and has gotten worse since her mother's death. As the story unfolds, we see Allie bond with Theodora and also helps to bring Theodora and her father together. And through all of this, a spark forms between Allie and Max. However, Countess Celia is expecting to wed the King. Will Max take a stand for his feelings for Allie and make it truly a merry Christmas for all? Storyline: When a prince, and heir to the throne, finds himself in some hot water for his partying ways, the royal family decides to hire a top notch PR consultant to work with him. As the consultant heads to meet the prince, she falls ill and her assistant must step in at the last minute. Unbeknownst to her boss, the assistant excels at creating a campaign for the Prince which proves to be successful. But when she finds herself falling in love with him, and the feelings are mutual, she soon has to deal with the fact that she's been lying to him all along and what will happen when he finds out. Storyline: While on a last-minute European holiday, a young woman finds herself in the middle of a real-life fairy tale when a chance meeting with a handsome local leads to something more. However, things get complicated when she learns that the "local" is actually a prince who is about to be crowned King, and whose mother is dead-set against her royal son's romance with the tourist. Storyline: Magazine assistant and aspiring fashion designer Caitlyn’s world is turned upside down when Prince Jeffrey and his presumed future fiancé Lady Isabelle come to town, and Isabelle hires her to design a dress for the royal New Year’s Eve ball where Jeffrey is expected to propose. Navigating through her boss Abigail’s efforts to sabotage her, Caitlyn spends time creating a dress fit for a princess, and planning the ball with Jeffrey. Caitlyn and Jeffrey begin to develop feelings for one another, but Jeffrey’s royal commitment to marry Isabelle and assume the throne stands in between them. As the New Year’s Eve ball approaches, Jeffrey and Caitlyn must decide if they can overcome royal tradition to pursue their happily ever after. 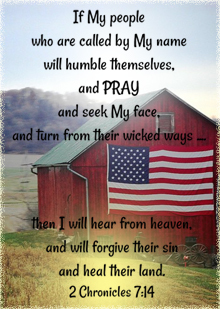 Storyline: Kelly, a hopeless romantic in Montana eager to finish her dissertation, and her father, Hank, a rancher, receive news that he has inherited an estate from a faraway land. When they travel there, they discover that Hank has not only inherited the estate, but the title that goes along with it – KING! *Available on DVD! - alone or 3 movie collection! 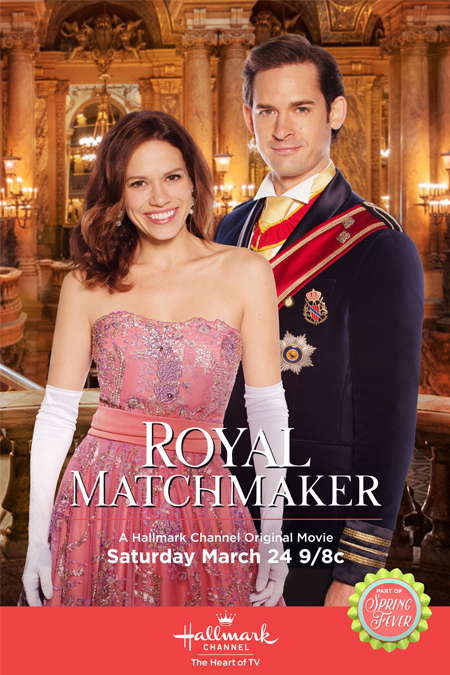 Storyline: Matchmaker Kate’s reputation as the “Queen of Hearts” reaches King Edward of Voldavia who hires her to find his son a bride. But Prince Sebastian has a moat around his heart, and Kate doesn’t see his tender side until he evokes his mother’s memory. She’s also learned he does humanitarian work, and before Kate knows it, she’s fallen for him herself! Still determined to find Sebastian a match, Kate introduces him to Petra, and is so heartbroken when they click, she runs off, unaware that the Prince has already found his royal match, and she’s sitting at the train station. Storyline: Susanna gladly accepts help one day from handsome stranger Nate at her parents’ garden store in small-town Georgia. Sparks between them fly, but when a photo of them gets leaked to the press, Susanna is in for the shock of her life when Nate is called back home by his mother…for his coronation as the King Nathaniel of Cambria! Storyline: Sara’s dream of finding the perfect mate is realized when boyfriend Daniel proposes marriage, but there is one tiny hitch. It turns out he is the real-life prince of a small European monarchy, and his marriage requires the approval of his royal parents. Commoner Sara will have to do more than simply impress the in-laws-to-be. If she wants to become Daniel’s wife, she’ll have to prove she’s got all the makings of an honest-to-goodness princess. From the beginning, I know I personally fell in love with Hallmark’s “Royal” Christmas movies, beginning with “A Princess for Christmas.” Each additional "Royal" movie that has come along the way since then, whether it was holiday or non-holiday themed, has been enchanting and charming in it's own way. Now, which “Royal” movie would you crown King of all? Please share in comments below! "A Princess for Christmas" is my favorite Royal movie. I absolutely love that movie. I crown 'A Princess for Christmas' the King of all the movies (with Crown for Christmas a close second). I have to say A Crown for Christmas 1st and then A Royal Christmas. I love the line at the end of A Crown for Christmas when Max said, "you had me at sewing kit". I was so happy when they rode back to the castle and were hugging with the little girl slipped my mind her name. I love on the Royal Christmas, Emily was just so down to earth with everyone and they all loved her except the queen of course. 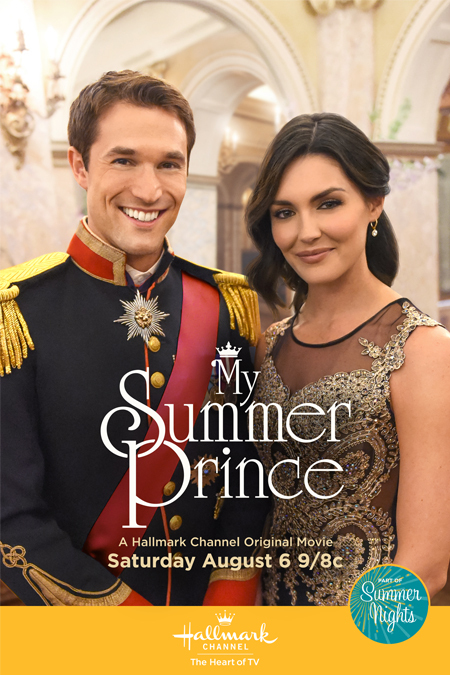 Then, 3rd best, I love My Summer Prince, Jack Turner is so adorable and I loved the story and Lauren Holly was so funny saying she never had chicken pox as a kid cause she didn't associate with kids even as a kid. I do love on the Princess for Christmas, when the boy asks why they got the shaft all Christmases in the past. He just blurts it out at dinner. I love how the little girl really gets to grandpa, he just adores her. A Princess for Christmas for sure! :) Love that movie! A Princess for Christmas and Crown for Christmas tie for me! 'A Princess for Christmas' hands down! A Princess for Christmas and Crown for Christmas are my all time favorites! 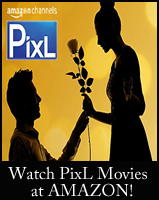 My favorite "royal" movies are crown for christmas and royal matchmaker. We need sequels for both movies! Crown for Christmas is the clear favorite in our family. 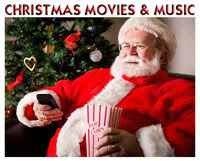 Royal Matchmaker, A Princess for Christmas and Once upon a Holiday have all made the I'd rewatch list. Smooch is by far the worst Hallmark movie I've ever tried to get through. I was embarrassed for it. They've come a long way since then. My girls and I love A Princess for Christmas, A Royal Christmas, and Crown for Christmas. The others are good, too, but those three "reign" as our favorites! That's so cute, Net! Leave it to you to be so clever! A Princess for Christmas! Forever may it reign! The others have only been pale imitations. 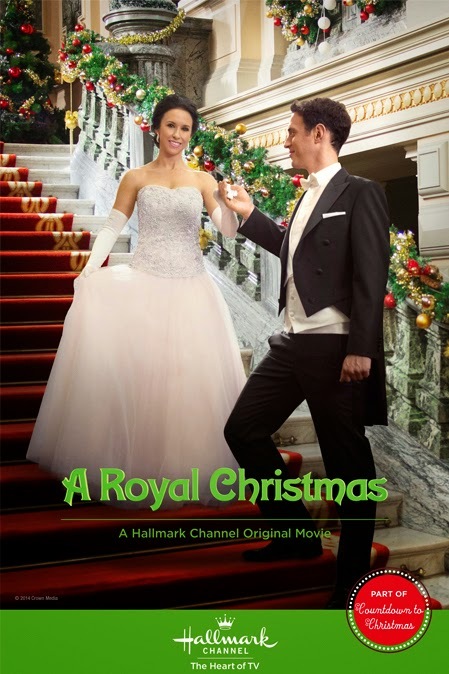 A Royal Christmas with Lacey Chabert is my favorite out of these choices. 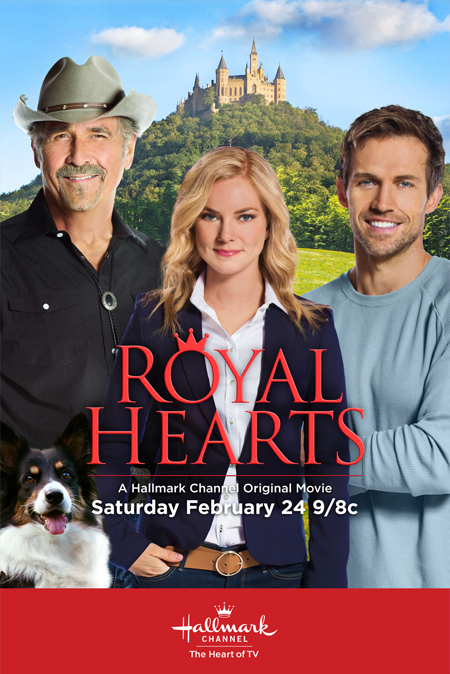 I enjoyed all of these, but most of all Royal Hearts - this is the second movie I've seen with James Brolin and he adds a great humorous touch with the characters he portrays. This for me makes this one my favorite! I loved all the "Royal" movies but "A Princess For Christmas" is my favorite with "A Crown For Christmas" coming in a big 2nd!! I love A Royal Christmas. Love Lacey Chabert and her movies are always sweet. I can't wait to see what Christmas movie she will be in this year. Definitely, A Princess for Christmas! Royal Matchmaker was my favorite. Will Kemp...sigh!!! A Princess for Christmas and A Royal Christmas are my all time favorite royal movies! I've always been fond of watching A Princess for Christmas. Bethany Joy Lenz is the best actress on Hallmark these days . A Crown for Christmas is my favorite. 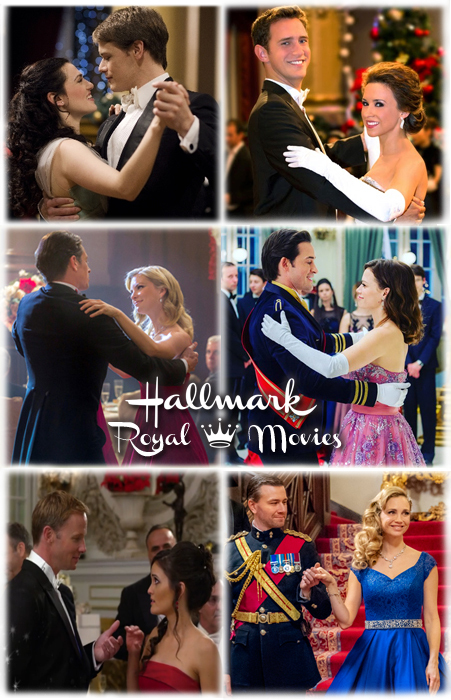 Crown for Christmas and Royal Matchmaker are the best of the Hallmark royal movies, in that order. I would put Once Upon a Holiday and A Royal Christmas after those two, and then probably A Royal Winter in 5th place. My new favorite is "Royally Ever After!!" "Royal Matchmaker" is a close second though!!!! "Royally Ever After" was soo good!!! I really really hope both of these movies come on DVD!! Royal Matchmaker and A Princess for Christmas. I'm dividing up my favorites, Christmas and non-Christmas. For Christmas my royal pick is A Princess for Christmas. 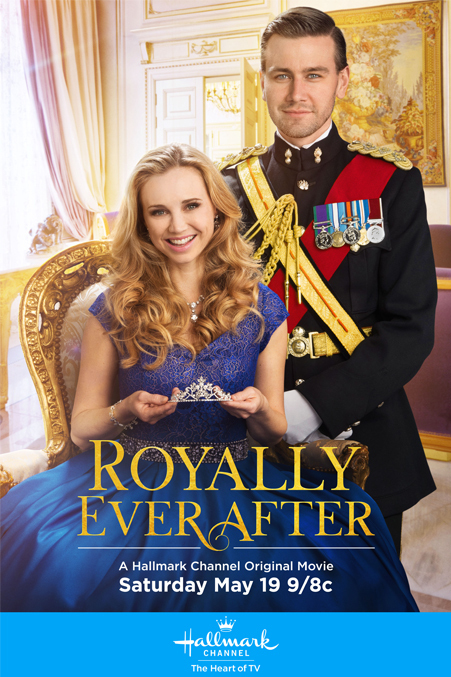 For non-holiday royal movies, my pick is Royally Ever After. A Royal Christmas is first for me, with A Princess for Christmas a very close second.